Dave Helfrey, Martin Vavra and myself dive into the 1968 classic, Destroy All Monsters for this month's Daikaiju Discussion episode! Hey there listeners! I thought it would be kind of hilarious to take advantage of the leap year and post the episode on the rarest of days, February 29th. Was that a mistake? You bet it was! Here I am, scrambling like a sucker to get episode #52 in the feed before March actually begins… d’oh!! 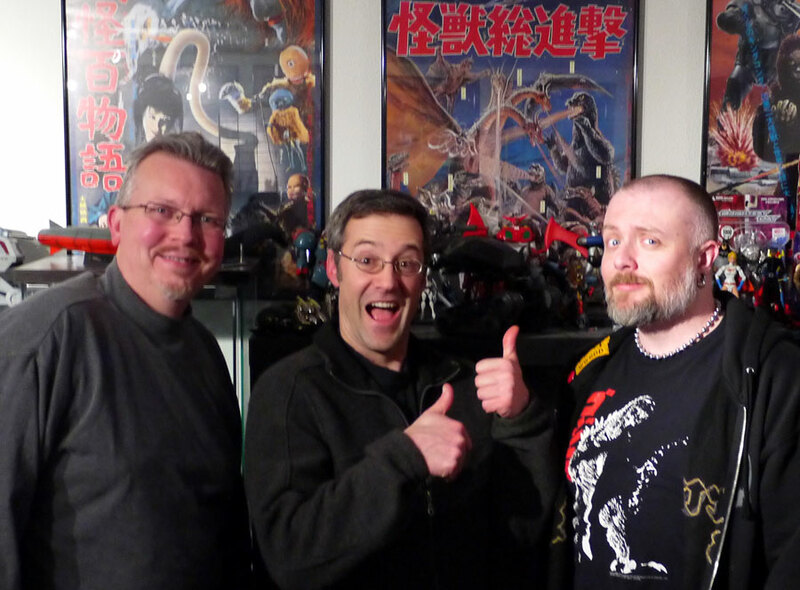 In a day or two, make sure you check out our very first Kaiju Commentary! March’s entry for the Daikaiju Discussion with be the lovably campy Gamera vs. Guiron! We’ll be watching the Shout! Factory version of the film (if you haven’t picked that up, do so now!). You need to email your homework in by March 25th to be included. I can’t wait to hear your thoughts!